Hi everyone! 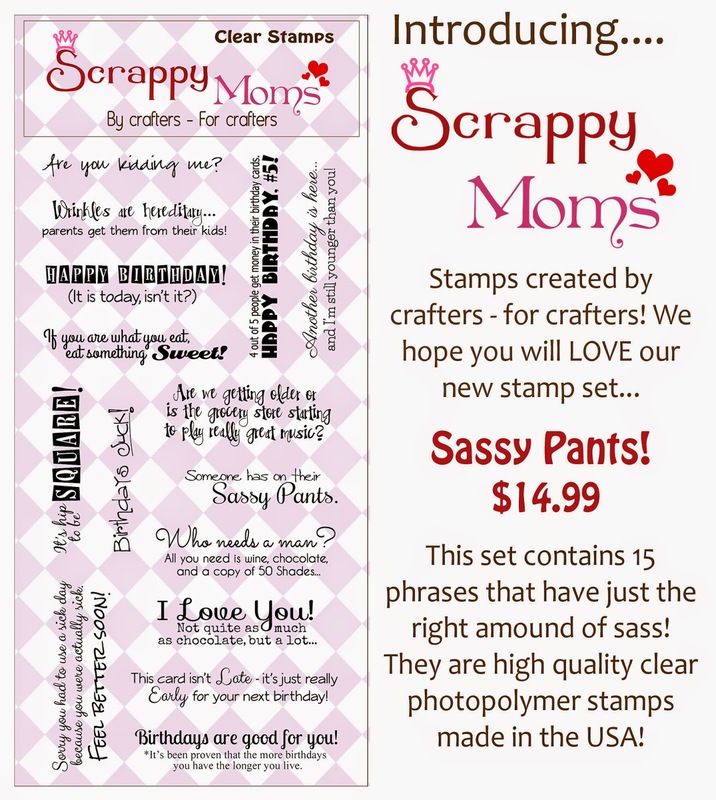 Scrappy Moms has just released two new stamp sets. The new sets are Sassy Pants and Zodiac Cuties. 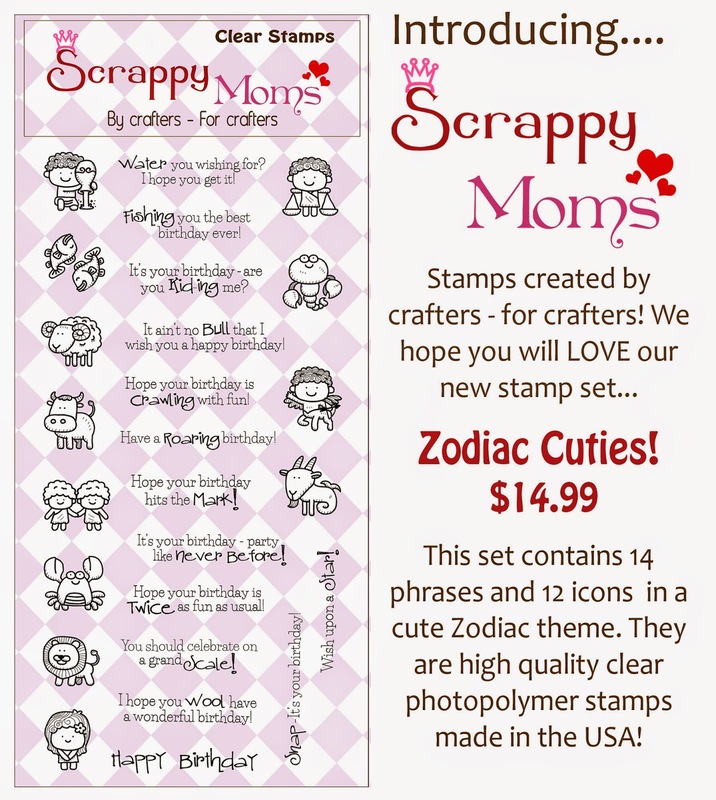 I used a sentiment from Zodiac Cuties in combination with cut file from the Silhouette Store. I love these bright, rainbow colored pattern papers from Bella Blvd. They were a perfect match for this wishing star. I added some glitter to the die cut by running the pieces through my Xyron and then coating with glitter. Such a pretty card. The papers and colors you used look amazing! OOH.. 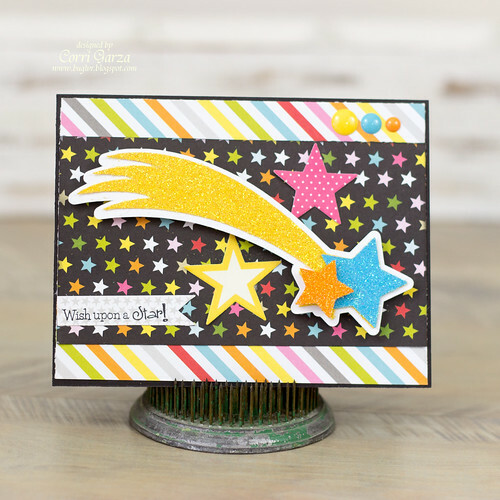 I love this shooting star card with that sentiment. So cool.